Romans 13 was quoted … debated … laughed at … mocked … and discussed by millions. On social media, TV, and in newspapers, Romans 13 sparked a war of verses in which atheists, agnostics, progressive Christians … and evangelicals … used God’s word to argue a political issue. Sadly, the words of God were not used to make rational arguments … but were used as proof texts for two different viewpoints. I believe God’s word never returns void – “empty” – without accomplishing what He desires … without succeeding in the matter for which He sent it (Isaiah 55:11). And yet both sides produced some truth … because God’s word IS truth (Psalm 119:160; John 17:17). 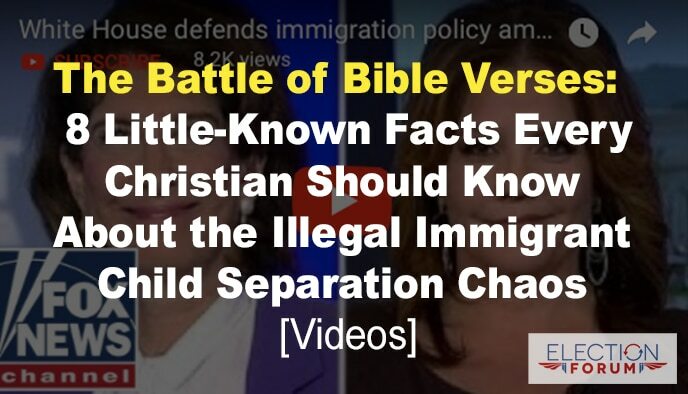 The progressive left used Bible verses to attack President Trump’s efforts to stop illegal immigration. … and a few others relating to treatment of children. There is truth in all of these verses that policy makers must consider…. But the progressive left thought these verses could undermine Trump’s evangelical base. Attorney General Jeff Sessions used Romans 13 to defend the Trump administration’s efforts to stop illegal immigration. 13 Let everyone be subject to the governing authorities, for there is no authority except that which God has established. The authorities that exist have been established by God. ²Consequently, whoever rebels against the authority is rebelling against what God has instituted, and those who do so will bring judgment on themselves. ³For rulers hold no terror for those who do right, but for those who do wrong. Do you want to be free from fear of the one in authority? Then do what is right and you will be commended. 4 For the one in authority is God’s servant for your good. But if you do wrong, be afraid, for rulers do not bear the sword for no reason. 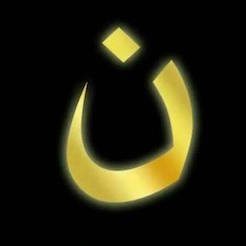 They are God’s servants, agents of wrath to bring punishment on the wrongdoer. 5Therefore, it is necessary to submit to the authorities, not only because of possible punishment but also as a matter of conscience. Sessions is right that everyone should obey the laws instituted by governing authorities … and that government’s laws should be enforced. For example, in Acts 4, Peter and John were ordered by the Sanhedrin – Judaism’s Supreme Court – to stop preaching the gospel. Paul was beheaded in Rome’s prison … and Peter was crucified upside down. And so, two apostles who instructed Christians to obey the governing authorities were executed for refusing to obey the governing authorities. Is this not contradictory? Were Peter and Paul not hypocrites? No … our obligation to obey the government ends when the laws of the government directly contradict the commandments of God. Never isolate and quote a single Bible passage to prove a point. She selected a single Bible verse – which she misquoted by the way – to try to prove her own point … while disproving Sessions’ point. If protecting and encouraging and blessing little children is “a central tenet of Christianity” in Ms. Clinton’s mind, she has some explaining to do regarding her support of partial-birth abortion … which inflicts unspeakable suffering and death upon little children. Why the “Battle of the Bible Verses” happened: The “Zero Tolerance” policy of prosecuting immigrants for crossing the border illegally caused children to be separated from their parents. It happens to U.S. citizens all the time … and it has happened with illegal immigrants during previous administrations. The only thing that’s new with the Trump administration is the “zero tolerance” policy announced in April by Attorney General Jeff Sessions … meaning that ALL adults crossing the border illegally would be subject to prosecution. Due to federal court rulings in 1997 and in 2016, children cannot be held with adults in jail, so the children are sent to separate detention facilities. During the same time period, 10,000 or more children have crossed the border illegally WITHOUT their parents. In the past 3 months, illegal immigration across the U.S.-Mexico border has exceeded 50,000 per month. In the past year, there’s been a 325% increase in illegal immigration of unaccompanied alien children. Also in the past year, illegal immigration of so-called “family units” has increased 425%. Over the last 10 years, there’s been a 1,700% increase in asylum claims, resulting in a backlog of over 600,000 cases. President Trump listened and acted quickly when evangelical leaders spoke out against the separation of families at the border. As Christians, we are committed to protecting the innocent, advocating family unity and promoting family values. The progressive left is exploiting this controversial issue as a political and fundraising windfall. For example, hundreds of progressive groups – including Obama’s Organizing for Action – are sending out fundraising letters. An effort by two Silicon Valley leaders has created a Facebook campaign to provide each immigrant parent in custody with $1,500 to post bond. So far, over 85,000 people have donated over $3.6 million. Was Jeff Sessions right about Romans 13? The Apostle Paul wrote the letter to the Romans while he was in Corinth … and while the Christians in Rome were beginning to suffer persecution under Emperor Nero. There was no justice … no mercy … no voice for the common people. Nero was a tyrant who persecuted Christians … and just a few short years after Paul wrote, began sentencing them to torture and death. He was in fact imprisoned numerous times for disobeying governing authorities. A Christian should be obedient and law-abiding … except when a government law violates Biblical law or a Biblically-based personal conviction. We are to submit to government up to the point in which obedience to the state becomes disobedience to God … or our Biblically-based conscience. We are to love each other and honor our secular leaders … but we are to fear only God. Basically, pretend there is no border and allow millions to flock into the country without any vetting. Stop people from entering the country illegally … remove the incentive people currently have to make the dangerous and expensive trip. Let’s pray for the crisis to be resolved. Ask God to protect the children, provide for their needs and unite them with their families quickly. Pray for wisdom and compassion for President Trump. Pray for wisdom and compassion for ICE agents and for DHS Director Kirstjen Nielson. Pray for Congress to have the moral courage to pass new immigration legislation to fix the broken system. Pray for those ministering to children and families in the border areas. Look for ways you and your church can partner with them to provide support for those in crisis. Pray urgently for our nation to value children as God does. Abortion is an ongoing tragedy that grieves the heart of God.